What does AnyDAC acquisition by Embarcadero mean for Delphi and C++Builder Developers? Thomas Grubb from Words from a Delphi CodeSmith blog, did a fantastic job comparing performance from Delphi 2010 to XE6. His motivation around this benchmark was to validate Delphi Quality, Performance, and Stability (QPS) over the years, specially now where Embarcadero claims a lot of focus on these areas with Delphi XE6 release. His tests include VCL, FireMonkey, Win32, Win64, Android, iOS, OSX and third party library. The whole series is based in 12 blog posts as you can se below. Again, congratulations Thomas for the fantastic job and time invested on that. I think everyone on the Delphi community will appreciate. CopyReaderToClientDataSet copies the contents of a TDBXReader into a TClientDataSet instance. It returns the same TClientDataSet instance that was passed to this method. CopyReaderToClientDataSet is part of the Data.DBXDBReaders.TDBXDataSetReader class until Delphi/C++Builder XE2, however in XE3 it changed a little bit, it became part of a new class called Data.DBXCDSReaders.TDBXClientDataSetReader. I got several e-mails from my blog readers that downloaded some of my examples, when compiling with latest versions they got a error message saying the CopyReaderToClientDataSet method can’t be found. The solution is simple, add Data.DBXCDSReaders.pas as part of the uses clause and replace all the TDBXDataSetReader by TDBXClientDataSetReader, which is the new home for CopyReaderToClientDataSet. Another update available for Delphi XE5 and C++Builder XE5, the Update 2 is has lots of bug fixes covering several areas, specially on FireMonkey for Android, iOS, Windows and Mac. The Update is available for registered users and you can find on the following links. Just a friendly remind that you need to Uninstall your current Delphi XE5 in order to install XE5 Update 2. Below the complete list of bugs fixed on this Update. 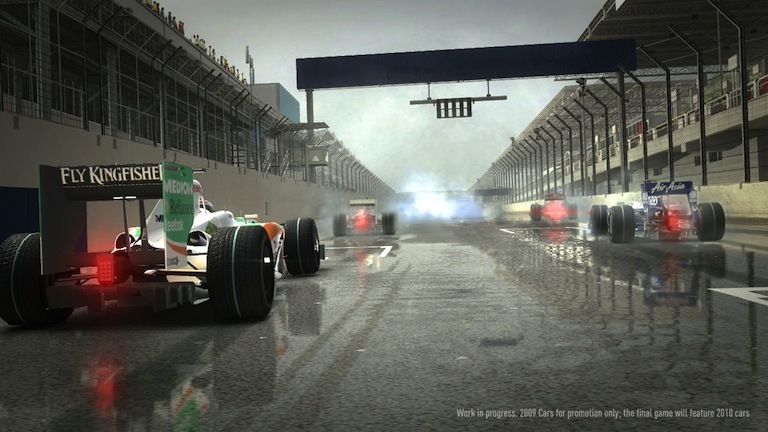 The Update 1 for Delphi XE5 and C++Builder XE5 has been released. This update touch some areas like FireDAC, FireMonkey, Debugger, IDE and mainly ClientDataSet. Below a list of fixes related to ClientDataSet, which I consider critical errors and a blocker for anyone that was looking to migrate to XE5. For a complete list of the specific problems fixed in this update, click here. Early this year I did a developer survey through my blog. I got over 1500 answers and I safely can say 87% use Delphi as their primarily development tools, the other 13% split between C#, C/C++, PHP and other languages. On Android development, 45% will develop apps for Android, 16% maybe will do some development and 5% don’t have any plan in 2013. 28% will develop apps for iOS, 24% maybe will do some development, which we can consider pretty high, and 11% don’t have any plan for iOS in 2013. 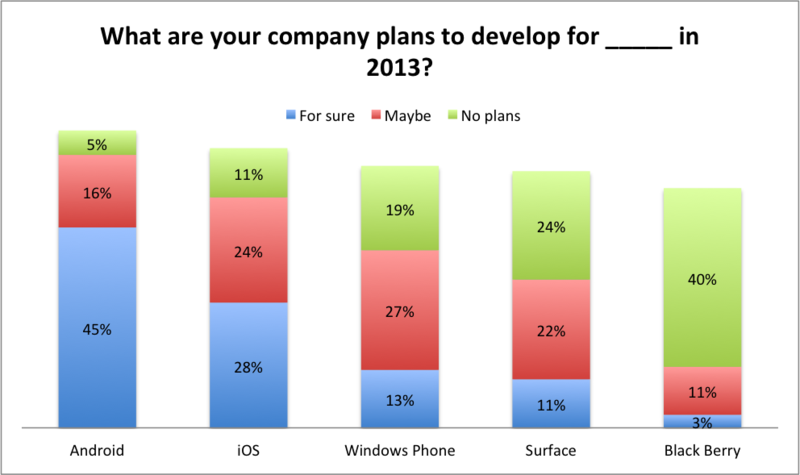 Windows Phone is not in a good position; only 13% will do development for Windows Phone. Looking for the Microsoft Tablet (Surface), this one is way behind. BlackBerry is not the favorite platform and has only 3% of the developers considering to develop, 11% not sure yet, and 40% will not develop at all. Android is the first choice, most of Delphi Developers do business application and I see a natural choice on Android, the number of devices out there and the lower price point when compared with iPhone/iOS leads Android more in to the business application development. When we look international market iOS devices would cost at least 60% more then Android devices, different reality from iOS, where we can pay US$200 on an iPhone. 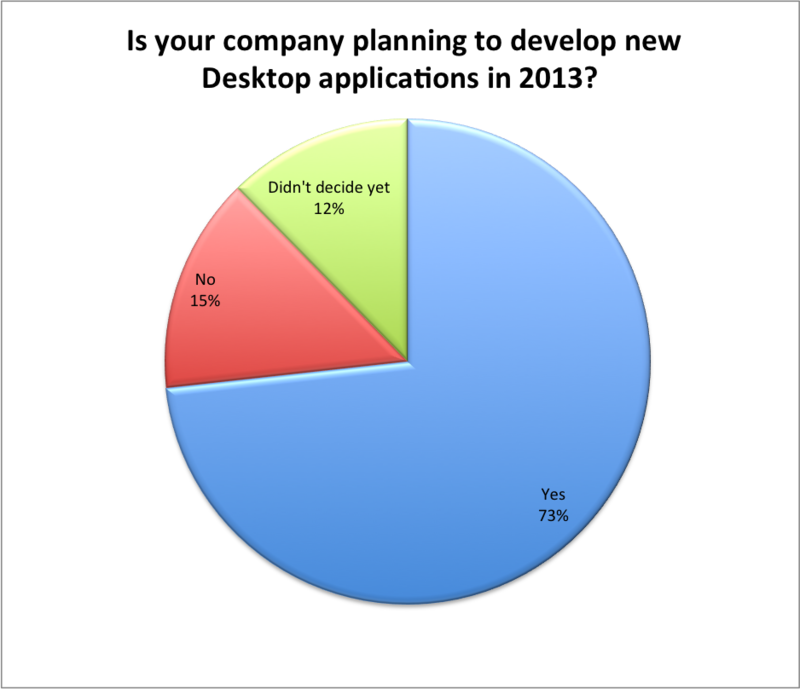 Is your company planning to develop new Desktop applications in 2013? 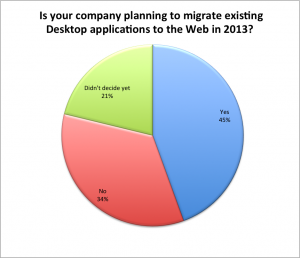 Is your company planning to migrate existing Desktop applications to the Web in 2013? 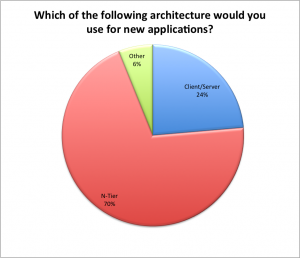 Which of the following architecture would you use for new applications? The results showed a clear demand for desktop development, where 73% of the interviewees plans to develop new desktop applications, however when you cross that with the architectural questions, 70% would use N-Tier architecture and only 24% would consider Client/Server. Years ago the software development world moved away rom the traditional Client/Server in to the distributed development. There are so many technologies and architectures for distributed systems out there (SOA, REST, SOAP, WebServices, etc. ), which are supported for many languages and IDE’s, but bring the question “Which software vendor has the best implementation and support for distributed applications?”. Looking forward to see your comments and what’s your choice to build distributed applications? Last week at Google I/O, Google announced the Android Studio, their new Android development environment based on IntelliJ IDEA. 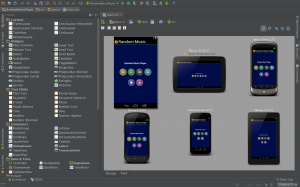 Android Studio is FREE and can download the early preview version here. I just installed on my Mac, the IDE supports Windows and Linux as well. I played a little bit during the last 2 days and I’m very impressed. Today’s Android development is supported in Eclipse through the ADT (Android Development Toolkit plugin), and every developer can take advantage of the Eclipse ecosystem. I have been using Eclipse for Android development, but certainly I see space for improvement and more specific features related to Android development. Android Studio is built on top of IntelliJ’s community version and now with Google Engineer working on that, just imagine what they will be able to produce. I just played few hours with Android Studio, their source code editor ROCKS it goes beyond of features already applied in other IDEs, the Designer is awesome and gives you a view of your application not only for one device, but for many others include tablets. 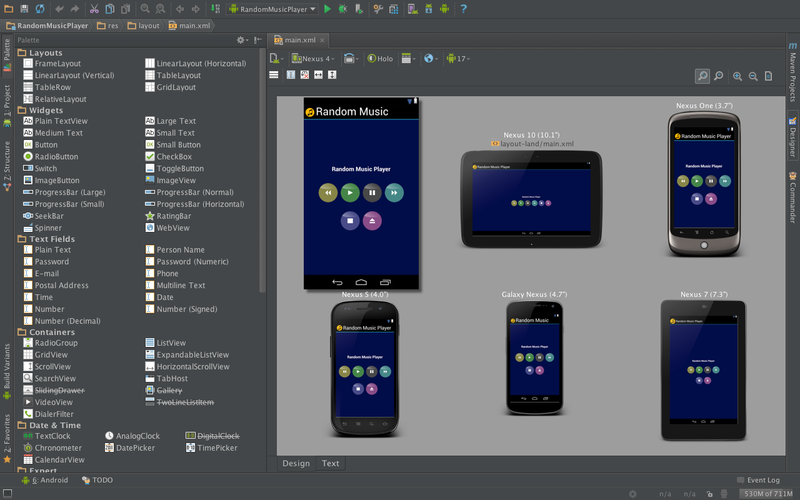 Also, you can easily import your projects from Eclipse in to Android Studio. Watch the following video and you will have a pretty good idea about what I’m talking about. In general you expect a new version of Delphi around August, this year is going to be different, Delphi XE4 is coming next week. I just heard that next week Embarcadero is going to announce Delphi XE4, which is part of RAD Studio XE4 and will include C++Builder XE4 and HTML5 Builder. An important change initiated last year related to Prism (Delphi for .NET) will affect RAD Studio this year, I think you won’t see Prism included in RAD Studio, of course REM Objects continue to develop their compiler and integration with Visual Studio, so you will have order directly from them. Delphi XE4 will bring Embarcadero’s new ARM compiler and will allow Delphi developers to compile FireMonkey apps to iOS devices at this point. The project around this new compiler started years ago, I had the opportunity to talk about this project with many Delphi developers, so the new compiler is really new and a beginning that will allow to move Delphi language much easier to other platforms, as you already heard Embarcadero is already promising Android support and it suppose to come soon. The iOS support is going to be better them what you saw in XE2 and you are expecting something way better. A very important point is the focus on iOS, trying to make everything you use for Windows available on iOS is not the way to go, so in XE4 you will see what is specific for iOS when developing for iOS and this is good. Of course Embarcadero will promote FireDAC as a new feature in XE4, even it came recently on XE3 still a good point to talk about this, since FireDAC is way better them dbExpress. I blogged about that recently and you can read here. I believe you will see InterBase for iOS on this release, even you already have SQLite on iOS devices I see a lot of space for InterBase on iOS, especially for developers that need protect their data on mobile devices. Embarcadero will release all the SKUs and upgrade paths. Early this year they mention about to release iOS support as add-on, maybe you will be able to buy just this piece, let’s wait and see. There is a webinar scheduled for next Wednesday April 24th and it will show this new release. I will be back in the following days and will share my comments about this release. I just published an article covering What’s new in Delphi XE4 after the official launch, you can find that here. Finally the day has come, Embarcadero acquired AnyDAC and there is a lot to talk about, early last year I invested a lot of time evaluating AnyDAC and know you know why – I was very impressive with the amount of features, AnyDAC is everything dbExpress tried to be and never reached. You may ask what is going to happen with dbExpress? BDE is dead, but still around :), dbExpress is not dead and I don’t think will die soon, but there is no reason to keep two database access technology since AnyDAC is way better than dbExpress. Update 2 for Delphi XE3 and C++Builder XE3 is available, the majority of bugs fixed on this update are related with C++ 64-bit compiler, the Update 2 bug fix list is available here. If you have a previous version of XE3 installed, you must uninstall it. In case you installed Platform Assistant before, you also need to uninstall it. When developing Android apps to obtain a reference of view objects represented on your layout you use findViewById. I personally consider findViewById inconvenient, as your start using you tend to repeat the same code several times, it add more lines of code, make difficulty to read, maintain, etc. However there is a solution for that called @InjectView and it’s part of RoboGuice and eliminate this issue and make your code cleaner, smaller and replace the use of findViewById, let’s see how it works. We would use the following code to access the edit text using findViewById. In order to use @InjectView we have to extend from RoboActivity class (download the RoboGuice from here), we just need to declare our class fields using @InjectView, set each field to the correspondent view object declared on our R.Java, the code will look like this. In layouts where we have multiple objects, it will became more visible the benefits of replacing findViewById per @InjectView, check out the following code where I add some extra controls to my layout. Hope this small tip can help you. I just read the article “4 Hard Questions For Enterprise Developers Who Want To Get Ahead”, which was written by Adam Seligman Vice President of Developer Relations at Salesforce.com. The article is great and I recommend, reading the four questions raised by Adam will help you reflect on your work as a developer. What I Am Working With? How Often Do I Put Into Production Code? The laggard Is My Organization? Do I Have A 2002 Or 2012 A Resume? These questions can help you find new challenges on your current job, or even start looking for new challenges elsewhere, not only that but also help you become a better developer. We just started a new year, now could be a good time to think about what you wanna for yourself and then start setting new goals. Happy New Year to every one!!! I prepared a short survey and I will appreciate if you can invest 5 minutes of your valuable time answering few questions. My goal with this survey is to learn more about your software development plans for 2013 and identify potential and useful topics to all of you. Also validate some content ideas I have for 2013. The survey is pretty straight forward, take less than 5 minutes and is very important to help to define the blog content for 2013. I have been evaluating some frameworks for web development and considering what I found so far Grails got my attention. Grails is an Open Source framework that runs on JVM, use Groovy as dynamic language and was inspired on Ruby on Rails and other frameworks. What I really like on this framework is the simplicity to create Web UI based on domain model, and data persist through a ORM. Below a short video introduction to Grails, watch this video and you can have some initial idea about how it works. Compile Delphi code for 64-bit platform is possible now with Delphi XE2 and XE3, developers can go beyond Windows 32-bit and start creating Windows Shell Extension for Windows 64-bit. Shell Extensions are in-process COM objects which extends the abilities of Windows OS. In this post I’m going to add two new context menu items in Windows Explorer. The menus will allow users to upload files to Microsoft Azure and Amazon S3. This post will go through how to create the extension, register and compile for 32-bit and 64-bit. I’m preparing another post, in which I will explain how to upload files to Amazon S3 and Microsoft Azure. In order to start creating a Shell Extension in Delphi, you first need to create an ActiveX Library project and after that create a new Automation Object. In the example I use for this post, the project name is CloudUpload and the Automation Object is called TCloudUploadContext. The TCloudUploadContext class must implement the interfaces IShellExtInit and IContextMenu in order to integrate the Context Menu in Windows Explorer. The ShellExtInitialize defines if the Context Menu will appear or not in Windows Explorer. In this sample the context menu only shows up if one file has been selected, otherwise no Context Menu. In case only one file was selected the FFileName variable will receive the name of the file. After the context menu handler is initialized via the IShellExtInit interface, Windows uses the IContextMenu interface to call the other methods of our context menu handler. In this case it will call QueryContextMenu, GetCommandString and InvokeCommand. The Context Menu options (Amazon S3, Microsoft Azure) will be created through the QueryContextMenu method. When you are in the Windows Explorer and you pass the mouse over one of the Cloud menu items a short help message is displayed in the Windows Explorer status bar, it is defined on the implementation of the method GetCommandString, which returns a string to the Windows Explorer to display. As the user clicks in one of the Cloud menu items, the method InvokeCommand will be called and start the process to upload the selected file to the Cloud selected. At this point we already have the file name and based on the lpici parameters we can identify what menu item the user clicked. In order for the COM object to be created whenever the CloudUpload is loaded, it’s necessary to create an instance of a class factory that specifically creates an instance of the shell extension object, the factory instance will be created on the initialization section, based on the following code, which is a replacement for the default code created by Delphi. Since the class factory will be responsible to register/unregister the DLL, the methods ApproveShellExtension and UpdateRegistry will be invoked, it will happen when you use the regsvr32.exe. At this point we just need to compile the extension, for this sample the Win APIs and RTL methods are the same for both platforms, we don’t need any specific code. 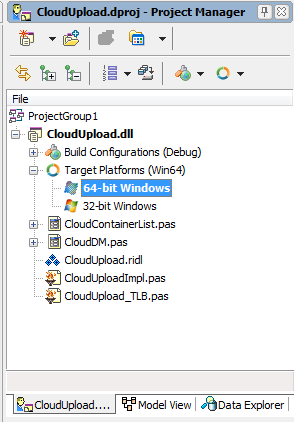 You can define the target platform through the Project Manager, by default your project target 32-bit Windows, right click on Target Platforms to add 64-bit Windows. You can’t register 32-bit dll in 64-bit operation system, and you can not register 64-bit dll in 32-bit operation system. If you are using your develop machine to test, compile for the platform compatible with your OS. First, you must Run as Administrator the application you are going to use to register the shell extensions even if you are the Administrator user. 32-bit shell extensions can be registered through the IDE, and command line (cmd) can be used to register 32-bit and 64-bit. After register the DLL you can open the Windows Explorer, select one file and right click, you will see the new menu “Send file from Explorer to the Cloud”. The following screenshot show the shell extension on my Windows 7 64-bit. Korean developers or developers that build applications for Korean market, hotfix 4 for Delphi X3 and C++Builder XE3 is for you. This Hotfix addresses an issue with using Korean IME in FireMonkey and you can download here. More information about Hotfix 1, 2 and 3 can be found here. Korean developers or developers that build applications for Korean market, hotfix 4 for Delphi X3 and C++Builder XE3 is for you. This Hotfix addresses an issue with using Korean IME in FireMonkey and you can download here. More information about Hotfix 1, 2 and 3 can be found here. It’s such a great honor to work for a company that not just thing about social responsibility, but really do things that can impact people’s life. Rally today announces Rally For Impact , the next increment of Rally’s social mission that aims to mobilize engineers to solve the world’s most pressing problems. Please, take 5 minutes of your time and watch the following video, it will explain the Rally For Impact Mission and shows how an enginner in India was able to make a tremendous impact on people’s life. If you have solved a social problem through engineering and want to share, let Rally for Impact know, they will love to know What caused you to change direction and pursue this issue? What challenges did you overcome? What help did you need to be successful? Visit the www.rallyforimpact.org and tell your story. Share this great initiative with your friends and start following Rally for Impact on twitter and Facebook, just click the buttons below. There are so many materials about agile methodologies out there, searching specifically about SCRUM you will find many of then that goes through the basic stuff and nothing else. The following video is a very cool presentation that will give you an overview of the Scrum process and how organizations can streamline their SCRUM process through the use of the Rally application. If you are starting in agile and want to learn more, this video will be a great start. Three new hotfixes are available for Delphi XE3 and C++Builder XE3.